This isn't a metaphor for how knowledge accumulates like sand to create the volume of knowledge which we can traverse - although that might actually have worked. Instead it is about real beaches and the process of writing. First time I heard about the idea of writing on a beach was way back in the late eighties, as my fellow student told me she had written her master's thesis on the beach. I was green with envy, but also quite incredulous. It was a great thesis, but I didn't believe in the kind of work that could be done without a huge stack of books, a hard chair and the musty air of a library or reading-room. Then I started to have to get academic work done, no matter what. 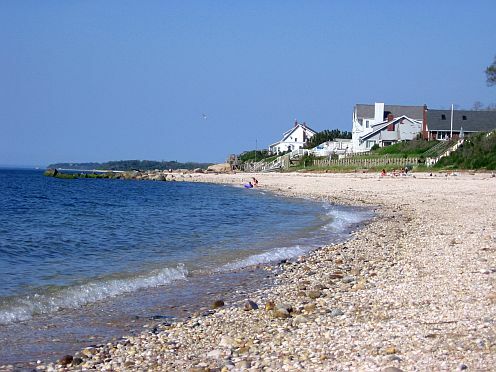 I spent a too-hot week in New York not in the city, but in lovely Greenport, because there was a cheap hotel by a pebbly little beach on the North Shore, just the place to be while the city was melting. That worked, so when I had a chance to go to Italy for some weeks, I brought the computer to Urbino and ultimately to Pesaro, which has a spectacular beach. I won't recommend trying to work there in the season though, it's crowded and hot and noisy - but in September October it's quiet and lovely. Then follows a list of beautiful Italian experiences. 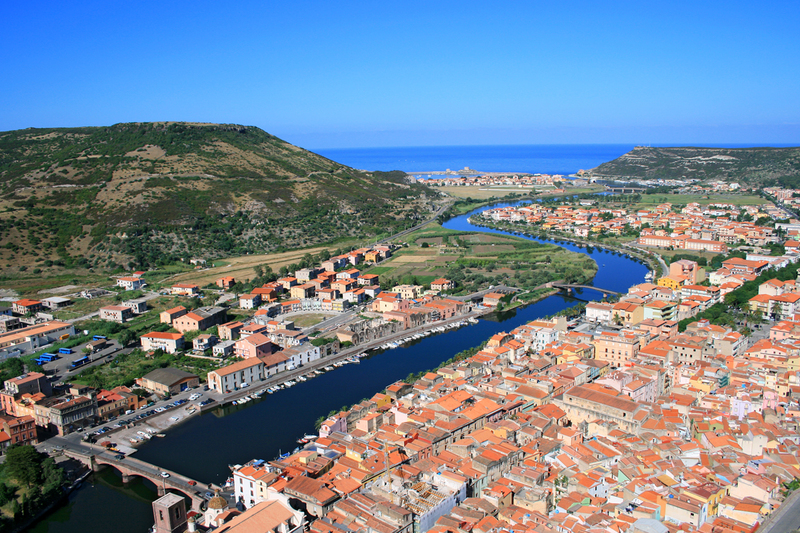 Alghero, with or without beach, is definitely a place where it is possible to work, but Bosa became a special place. 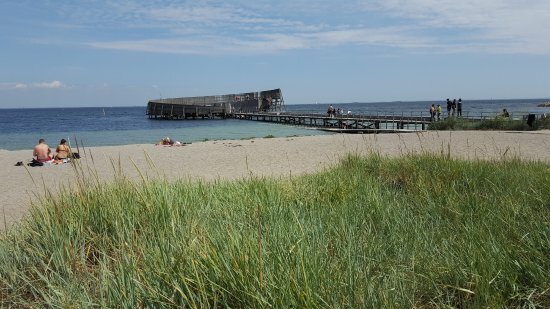 The lovely town with its spectacular beach was where I went with two colleagues for the first serious academic bootcamp - a concentrated period of lovely surroundings, great food and intense work. In between this I moved to Denmark, and for a while had an office which was unbearably hot during the hours with direct summer sunlight. Since that's not all that common (perhaps 5-6 days a year), it was acceptable to work elsewhere during those hours, and I started taking my work to the nearby beach. I read, reviewed and commented on endless papers, articles, exams, books, during those beach hours. There is a certain amount of guilt to it, I guess. If I am to have such a lovely time, I had rather work, to prove that I am not just there on vacation. Daughter of a deeply protestant work-ethic as I am, having a too good time is not good at all, but if I can be productive, it makes up for it. I even took a picture of the work I am doing, just to prove that I do work, but it was showing too much of the text of a fellow researcher for random publication. in the three days I have been here I have finished reading and graded two 100+ page final dissertations, finished up editing an article after review, send off another article for peer review, and reviewed the work of said colleague. All this while listening to the surf, and applying sunscreen. And in between writing this blog post, I have been working to administrate the reviewing of a journal issue. Guilt. It's a powerful thing, and right now I feel guilty for not sticking with the winter. But I guess I will get enough of that when I return to Denmark in October.